Bought this for our 2 1/2 year old granddaughter. You can choose blonde hair and blue eyes or brown hair and eyes. Had her name put on the dress. I know she will love this pretty doll! So soft and cuddly too. my little great granddaughter loves dolls, This one is a little different with the angel wings. Could i can buy the dolls without names on their clothes ? 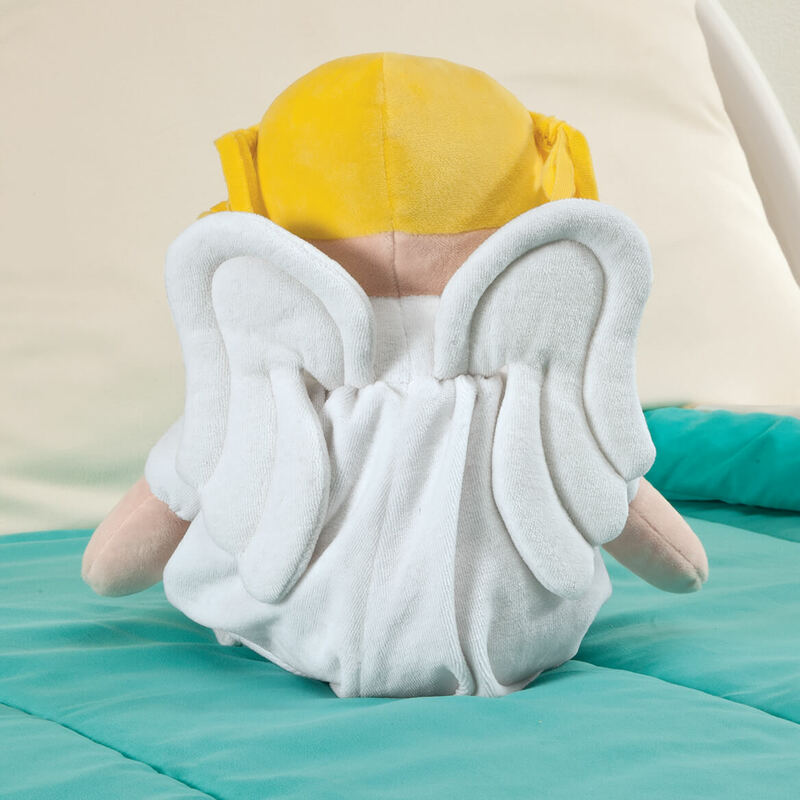 is there any male angel dolls for sale? BEST ANSWER: Thank you for your question. 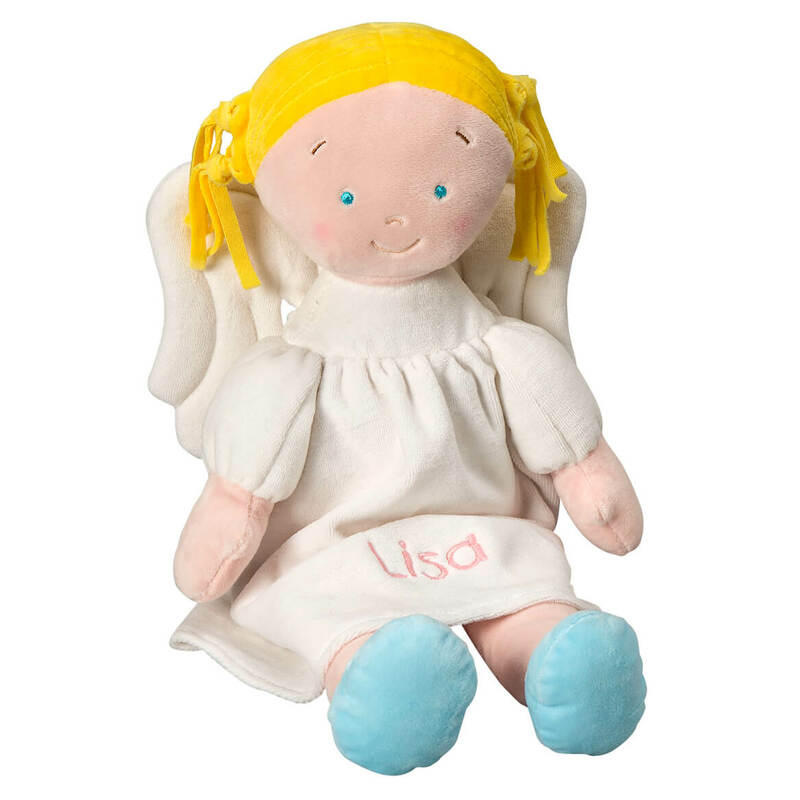 At this time the Plush Angel Doll only comes in a girl style. We hope this information will be of help to you.